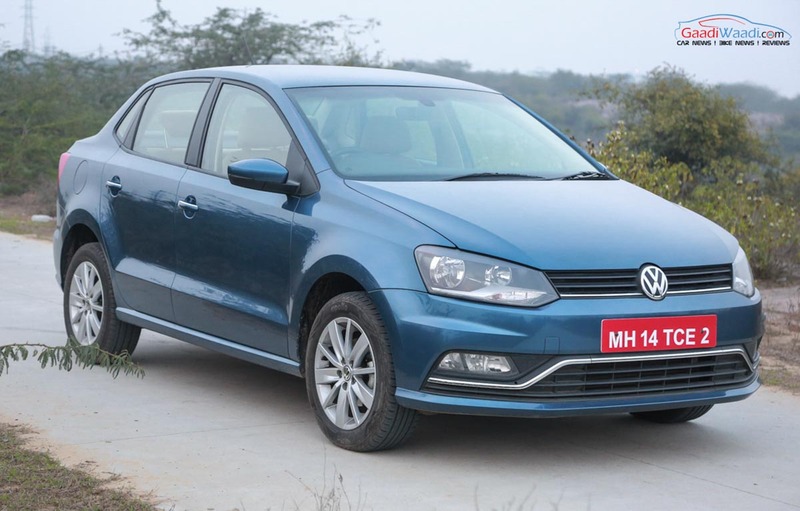 Volkswagen Ameo 1.5 Diesel DSG Review : The Ameo is the first sub-compact sedan from the German manufacturer. 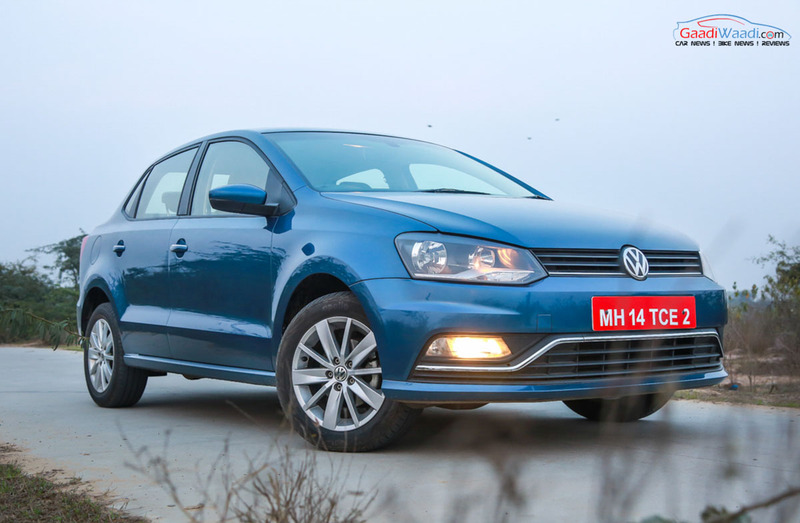 Being an India-specific product, Volkswagen has been cautious about its making and did take quite a lot of time clearly for its development. The highly lucrative under-four-metre long sedan segment is dominated by the Maruti Suzuki Swift Dzire since its introduction. 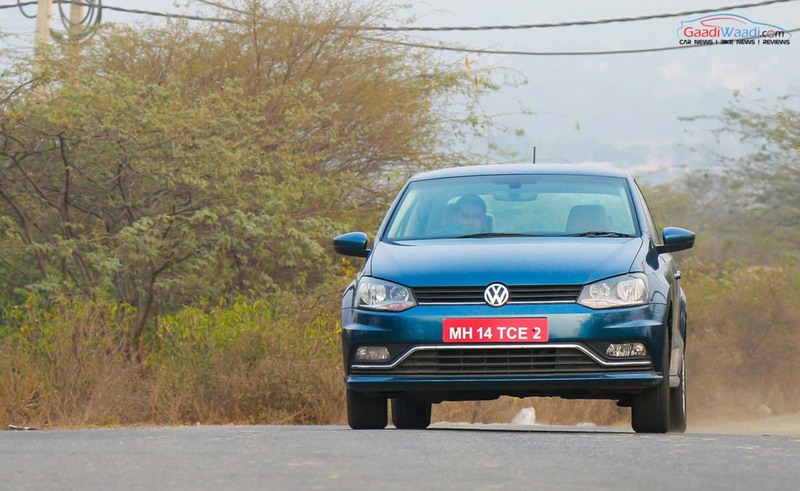 Even though the Tata Indigo eCS paved the way for the segment with tax benefits on pricing, Swift Dzire was the first vehicle to take advantage of it in its second generation. As manufacturers saw more underlying potential, Honda Amaze, Hyundai Xcent and Ford Aspire joined the party through the years. While they could not repeat the same sales as the Dzire, they did lure in consistent customers and justified their presence in the segment. 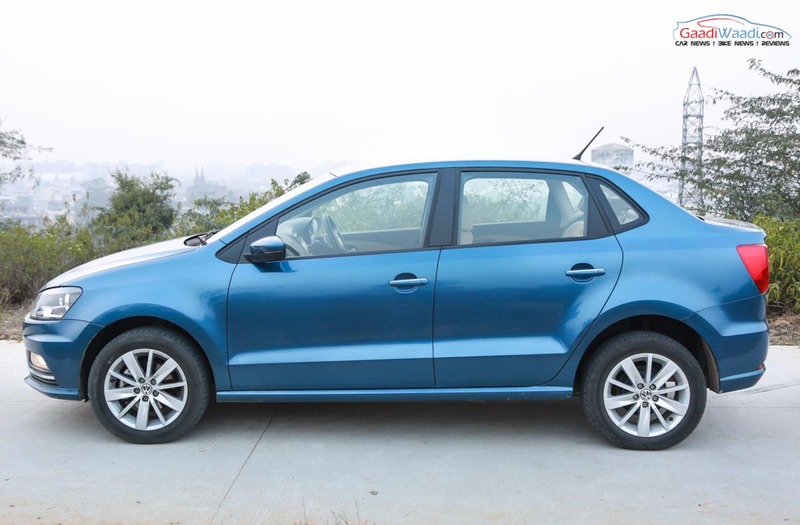 The Volkswagen Ameo is the latest offering in the subcompact space and knowing the traditional build quality the brand is capable with, the Ameo was perceived to be a cheapest alternative of the Vento with all the essential goodies in an affordable price slab. 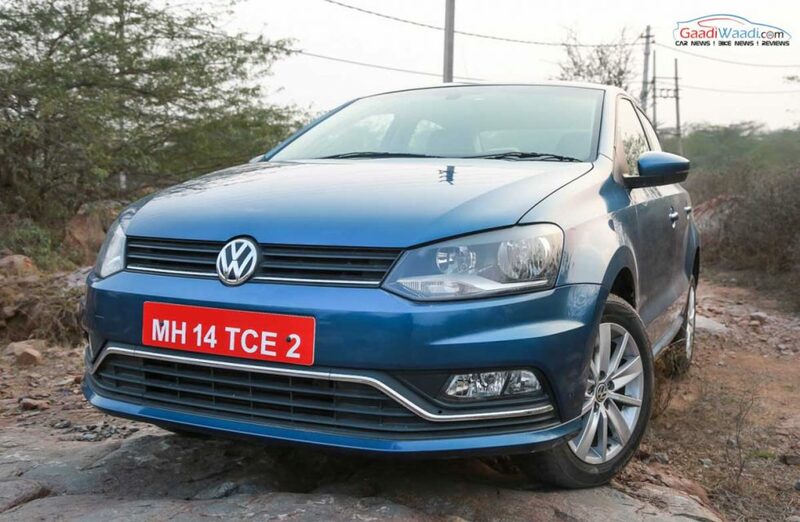 Volkswagen initially launched the Ameo with a 1.2-litre petrol engine before introducing the updated 1.5-litre diesel mill. Physically both the engine choices do not come with any exterior changes except for the badge. Digging deep there are no modifications on the features list as well in comparison. 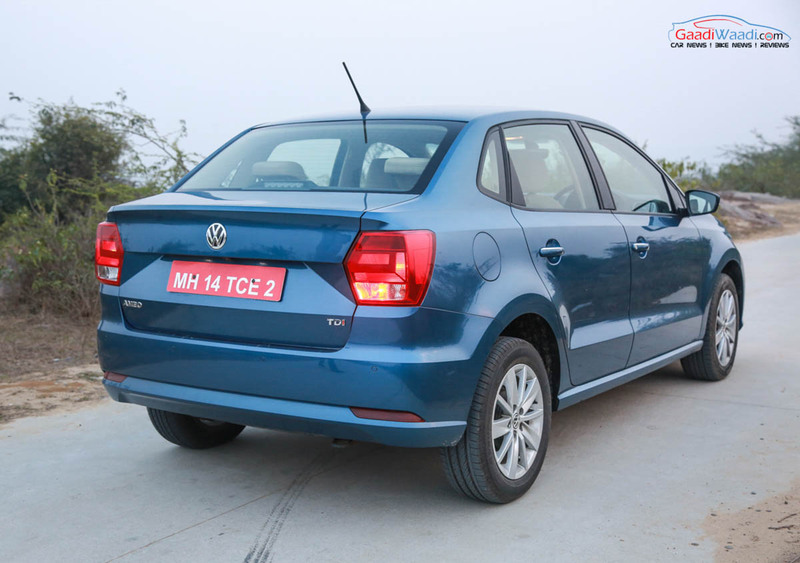 Looking at the Ameo in flesh, you will realise the cleaner styling Volkswagen has followed throughout its portfolio. It is a good thing because aligning the design with the existing lineup does bring a good vibe to the potential customers. The Ameo features a length of 3,995 mm, width of 1,682 mm, height of 1,483 mm and has a wheelbase of 2,470 mm. The fuel tank capacity stands at 45 litres while the bootspace is at 330 litres. The Vento is nothing but a Polo with a bigger boot. 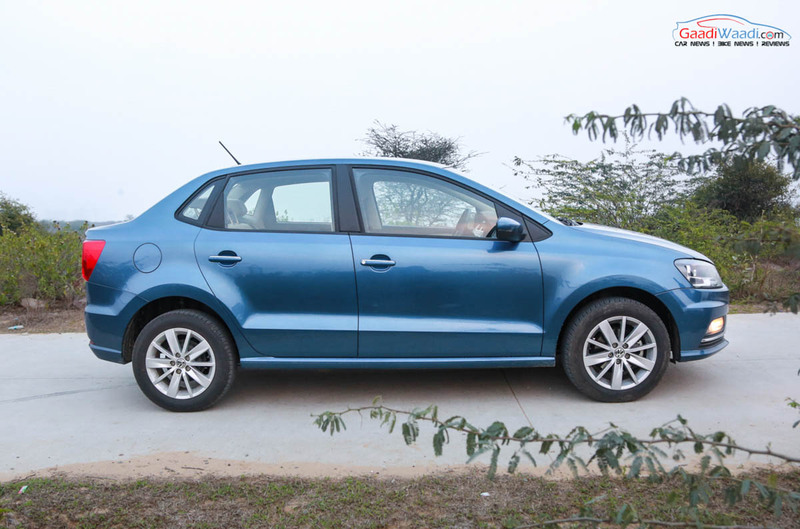 Despite being based on the same platform, the Vento features an extended wheelbase providing added cabin space at the rear. 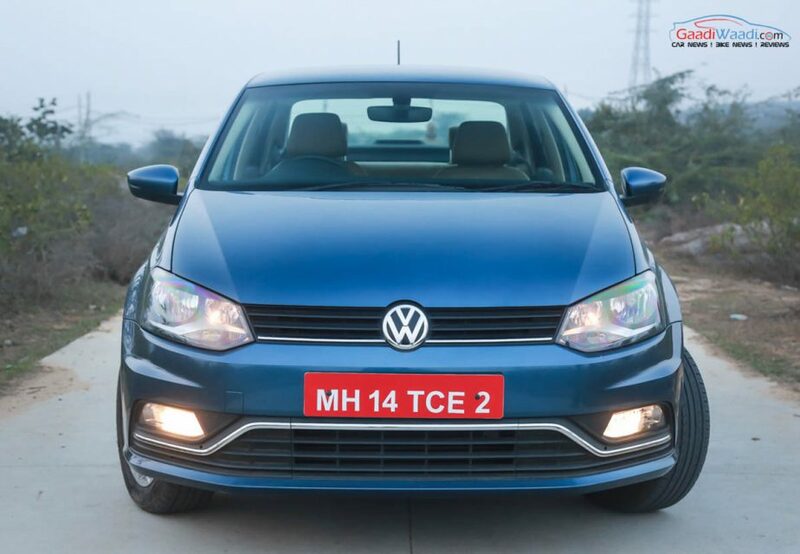 However, being a subcompact sedan, the Ameo has similar wheelbase as the popular hatchback with very little mechanical changes. 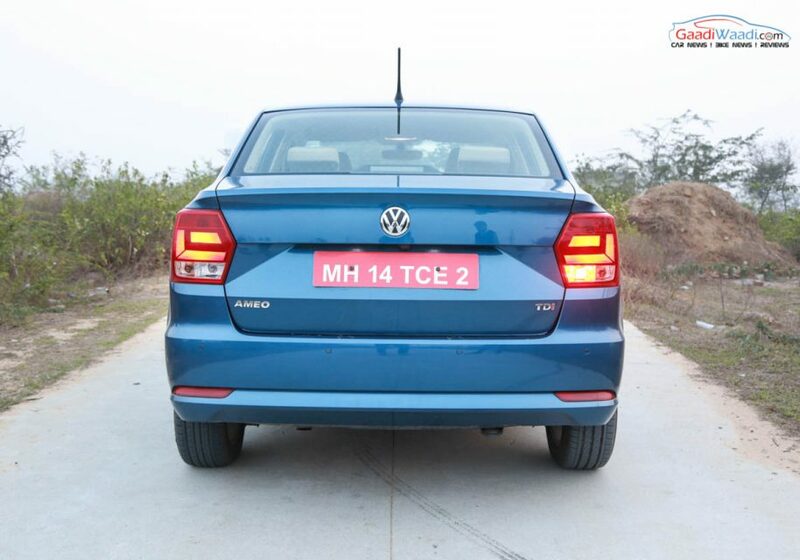 Therefore, you would have now understood that the Ameo is more of a Polo with a slightly bigger trunk space. Volkswagen engineers have managed to reduce the front overhang by 35 mm by redesigning the front bumper. 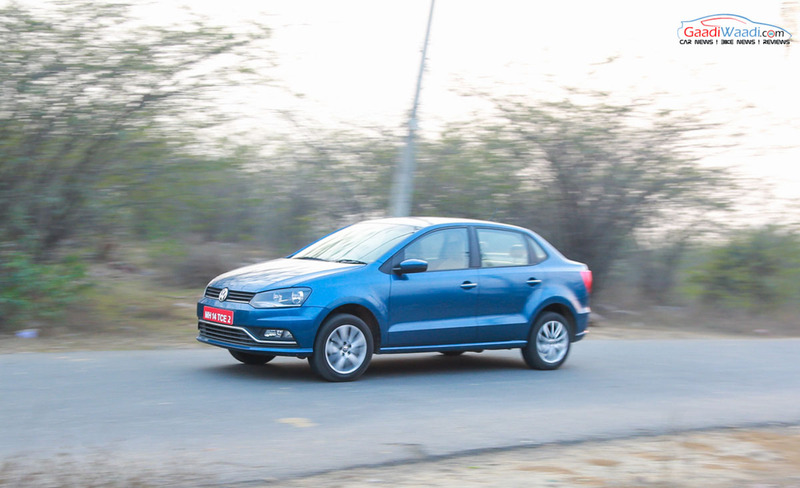 With adding few mm at the rear, the Ameo looks more proportionate than some of its rivals. The styling bits on the front bumper do make it a lot tidier than the Polo. 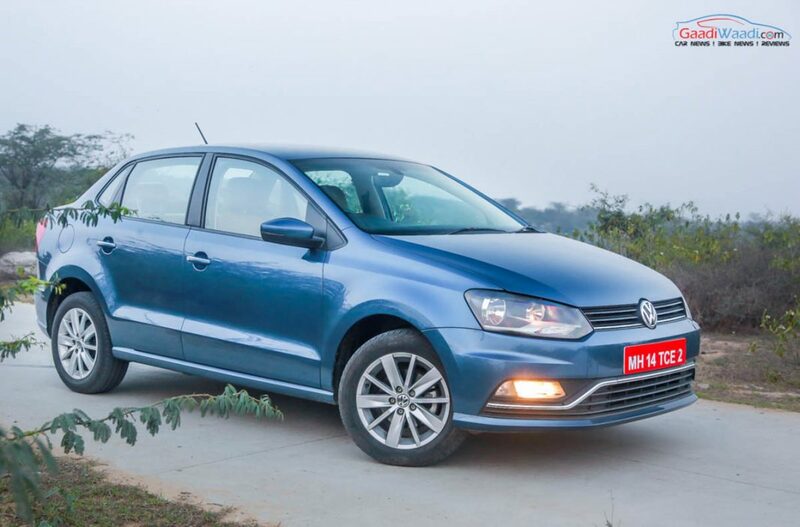 Additionally, the bonnet, headlamps, upper part of the grille and fenders have been derived from the Polo as all other design elements are made from scratch. The roofline is 15 mm lower than the hatchback and the C-pillar sweeps down to bring a proper look of the sedan. More changes to the rear as the Ameo comes fitted with a stubby boot, newly designed tail lamp cluster and a new bumper. 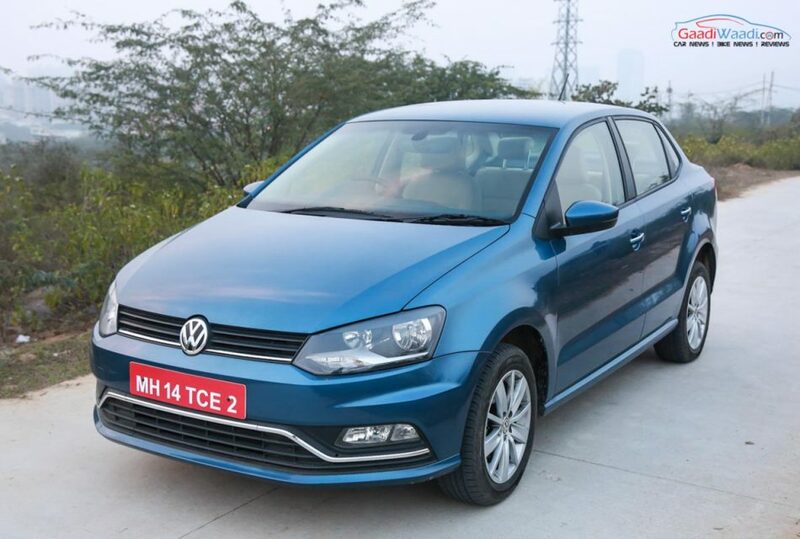 VW Ameo comes with body coloured bumpers, detailing in chrome, chrome applique on door handles, 15-inch alloy wheels and static cornering lights. 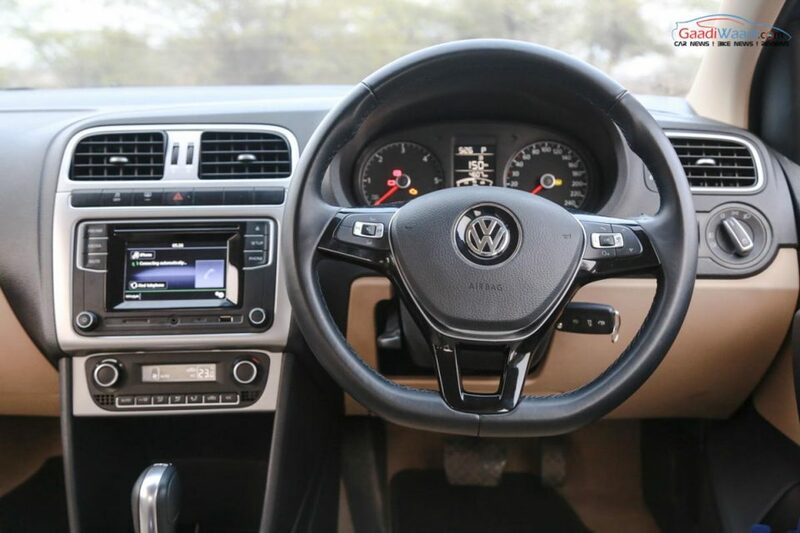 The sub-four metre sedan has its beige interior borrowed from the Vento and the dashboard is taken from the premium Polo hatchback. They blend in perfectly to bring a quality cabin while the build and fit-finish are as good as they get from the German manufacturer. Although we would have expected a little more from them, we certainly liked how they are well organised and blissfully satisfied. 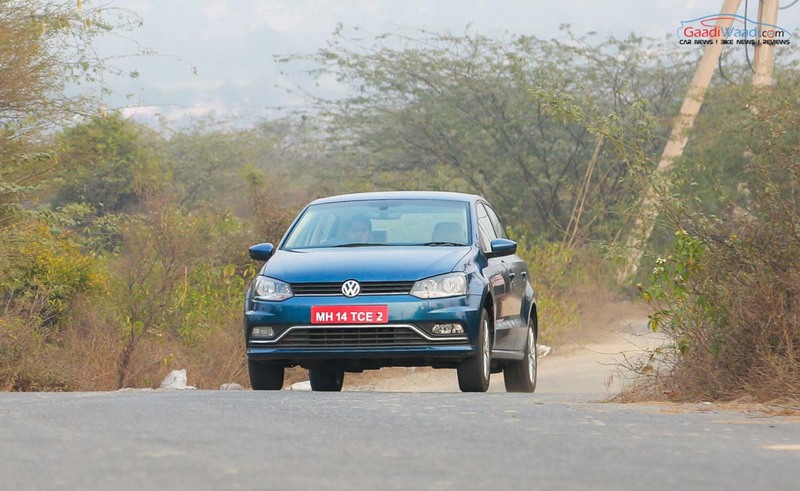 It is certainly the stuffed equipment list that makes the compelling difference as the Volkswagen Ameo offers plenty of class-first features that help in highlighting it as a captivating aspect amongst its competitors. They include cruise control, rain sensing wipers, front centre arm rest, anti-pinch power windows with one-touch operation, front centre arm rest and static cornering lights. 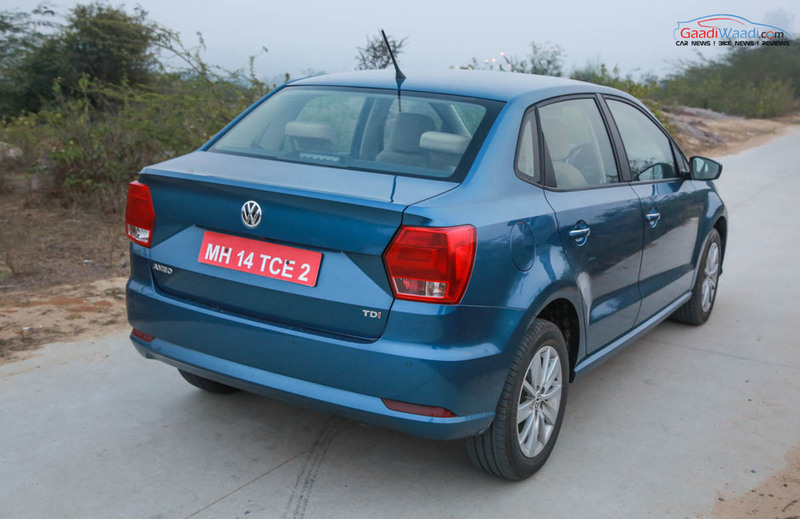 On the range-topping Highline variant of the Ameo, you would also get rear air-conditioning. The other important features are rear view camera with parking sensors, touchscreen multimedia music system with Mirror link, I-pod connectivity, phonebook / SMS viewer, Climatronic automatic AC with dust & pollen filter, Electrically adjustable & foldable ORVMs with LED turn indicators, Cooled glove box, Auto dimming IRVM, Tilt & telescopic steering wheel and Rear AC vents are some of the equipment offered. The flat-bottom steering wheel has a nice grippy feel to it while the instrument binnacle showcases all the necessary elements. The controls and dials have a good feel to them while the black and beige interior elevates the upmarket appeal. 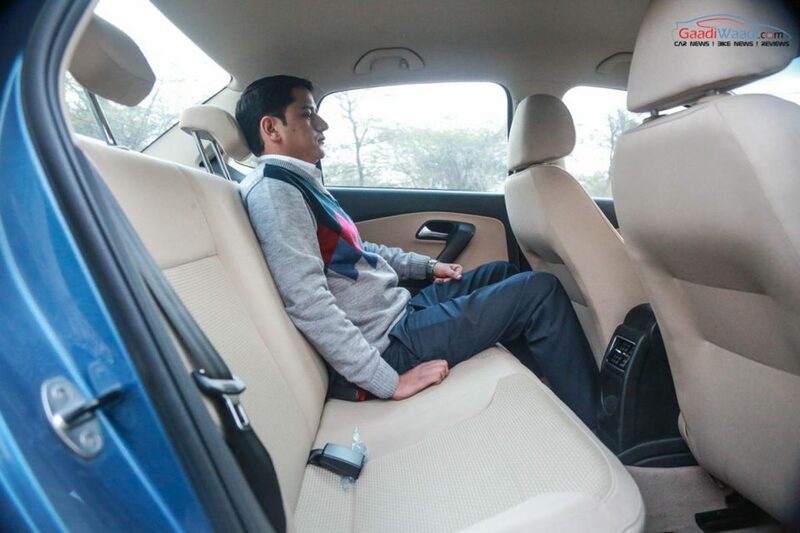 Additionally, the seats do not make the journey tiresome either as the occupants can comfortably sit in their places. 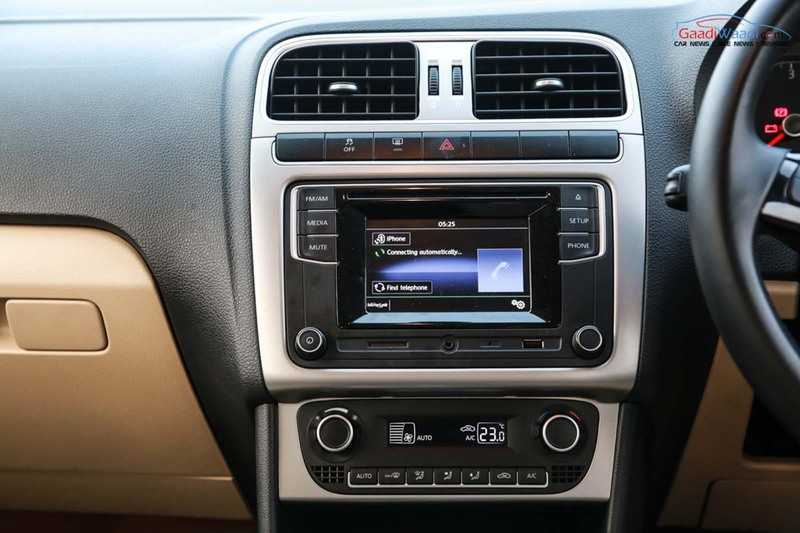 The touchscreen infotainment system gives access to a CD player, USB, Aux-in and Bluetooth connectivity with SD Card slot. Driver and passenger airbags along with ABS are standard across all the variants while ESP (Electronic Stability Program) and Hill Hold Control are also available from the Comfortline variant equipped with the DSG gearbox. 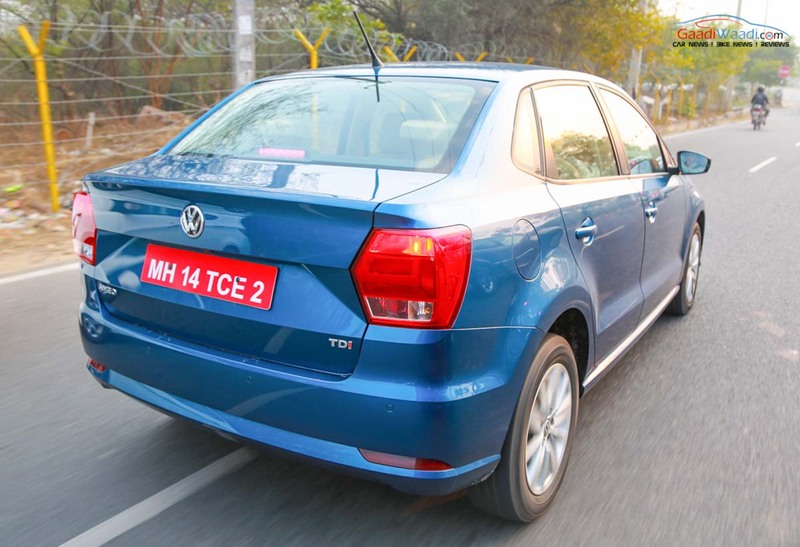 The tried and tested 1.5-litre, four-cylinder TDI diesel engine hides under the bonnet of the Ameo. 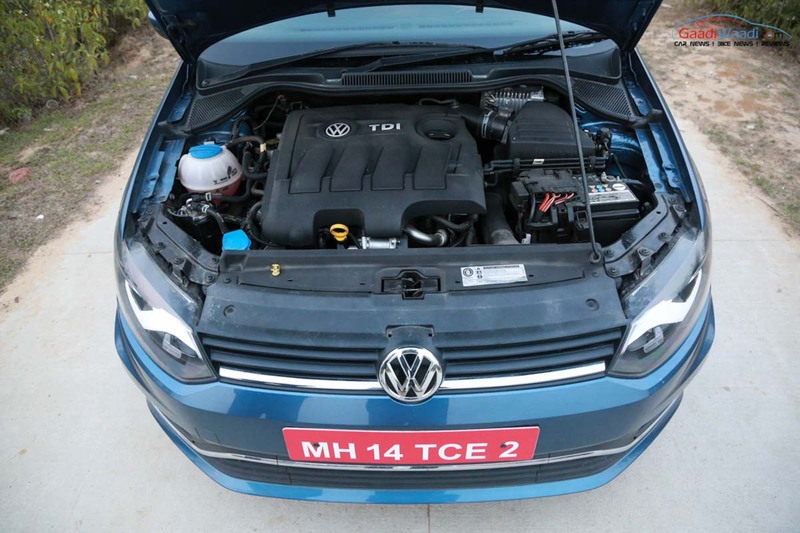 It has been used in the Polo and the Vento as well but now Volkswagen has extracted more power from this motor. 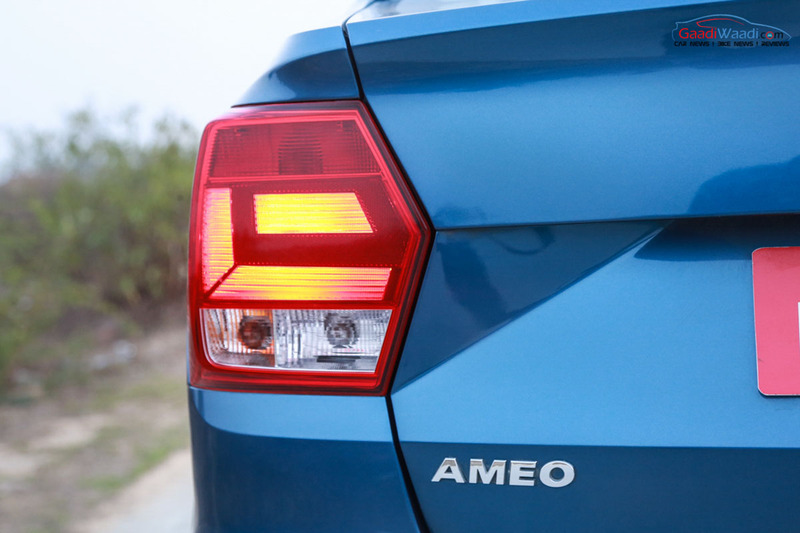 It translates into Ameo being more powerful than the Polo, Vento and the Polo GT TDI. The oil-burner is good enough to generate a maximum power output of 108 hp at 4,000 rpm and 250 Nm of peak torque at 1,500 rpm. This effectively means it is the most powerful mill in its segment outsmarting the highly-capable Ford Aspire by just over 8 hp. 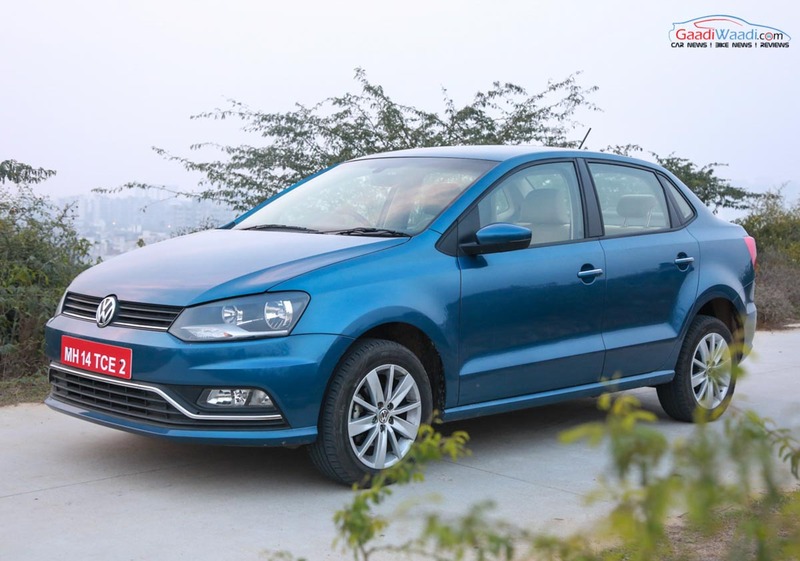 Volkswagen has made available the diesel variants of Ameo with either the five-speed manual or the potent seven-speed DSG automatic transmission. We took the DSG because we were all curious about how good it was in the given sub-10 lakh price bracket. Moreover, the automatic is more fuel efficient than the manual version – as in the Vento – and it returns a claimed economy of 21.73 kmpl. The highly impressive 250 Nm of peak torque kicks as early as 1,500 rpm and that makes the Ameo a very enjoyable car to drive as the Vento. 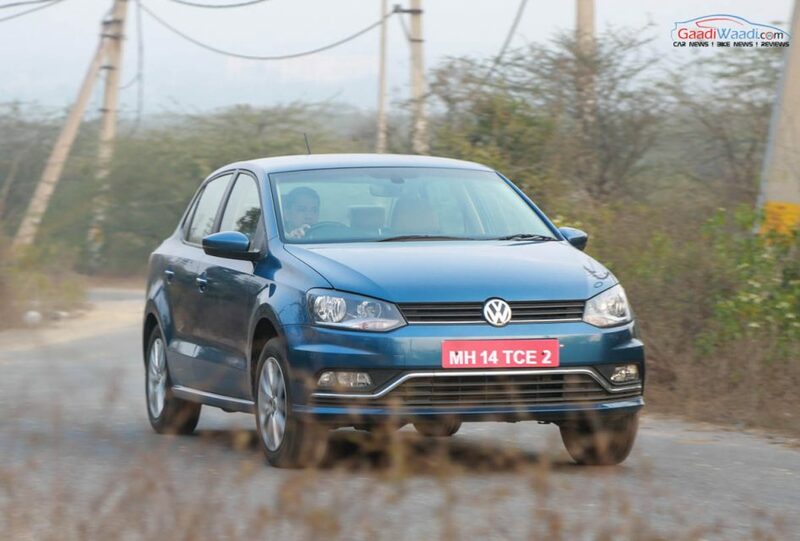 The seven-speed DSG gearbox is the jewel in the crown as it destroys its competition in the segment by a country mile. The gear shifts are smooth and engaging while you do get enough power on-board with the dab of the accelerator whenever needed. 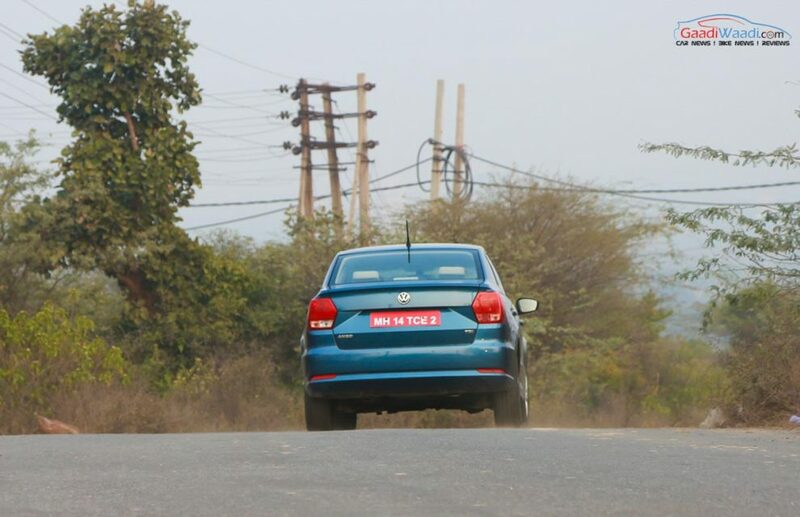 The power comes in at the right moment to give the DSG a helping hand and makes the Ameo a nimble machine. The ride comfort is slightly on the stiffer side which some will feel comfortable about but others do not. There is a fair amount of bodyroll while taking corners though. With that said, the cornering stability is on the positive side if not as good as the Polo or the Vento. 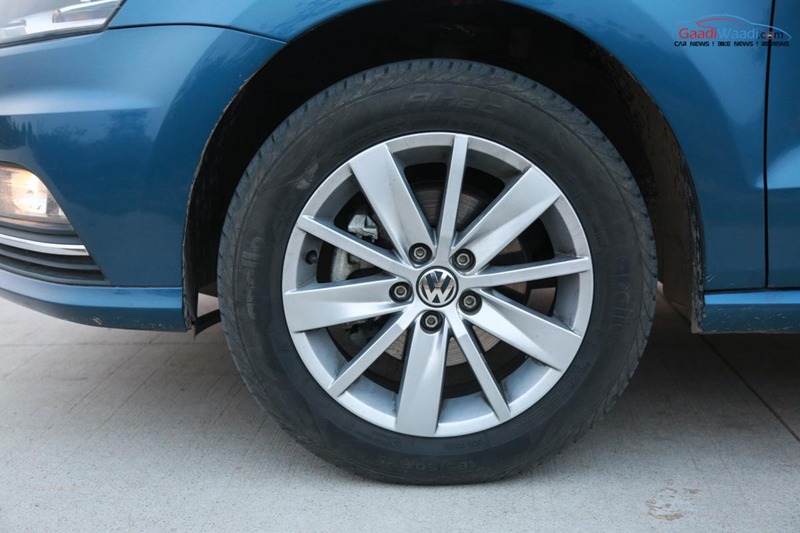 The 15-inch alloy wheels are of the same size as the set on the Polo but the suspension has been tuned very different according to its sedan nature. Due to the ride being on the stiffer side, the heavy bumps on the roads will trouble the occupants a little bit with a thudding sound and jolt. 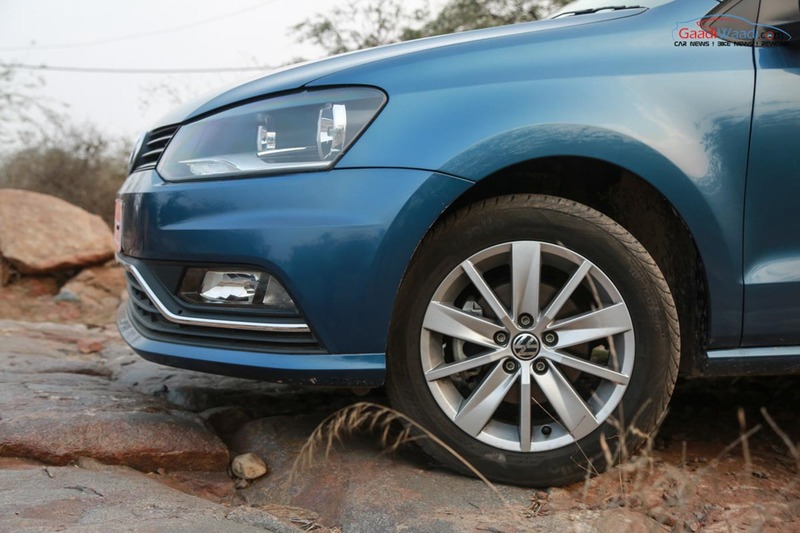 The front disc and rear brakes on the Ameo are super responsive while the tyres assist in providing decent grip level. The power-assisted sporty flat-bottom steering wheel does not feel too light and responds well to the feedback of the driver. The cockpit treats the driver with comfort and there are no visibility worries. The co-passenger and occupants at the rear seat have a decent amount of space inside. There are usable cup holders and cubby holes that are placed thoughtfully with additional storage on the door sides. The top-of-the-line Highline 1.5L diesel AT is priced at Rs. 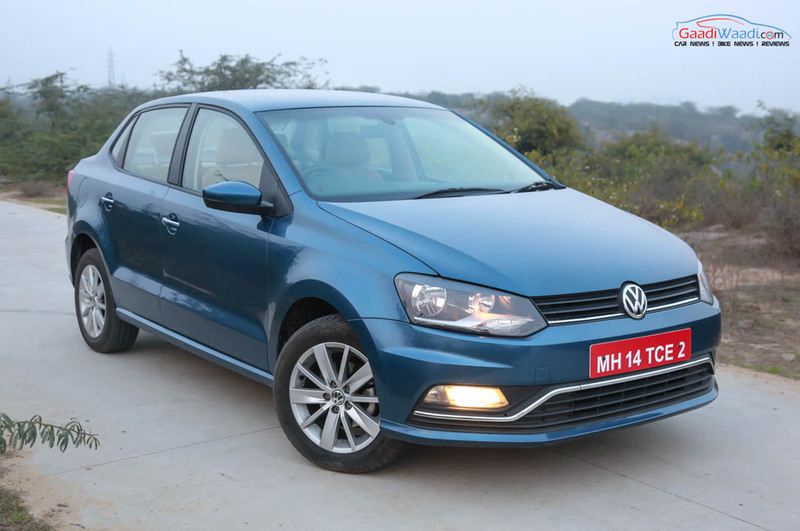 9.88 lakh while the Comfortline diesel automatic of the Volkswagen Ameo costs Rs. 9.07 lakh (ex-showroom prices, Delhi). In the subcompact sedan segment, the Honda Amaze, Hyundai Xcent and Ford Aspire would not offer an automatic in diesel. It works as a treat for the Ameo as the Maruti Suzuki Swift Dzire is the only rival to provide an AMT in diesel costing at Rs. 8.58 lakh (ex-showroom, Delhi). Considering that the Ameo has a fully automatic transmission loaded with features, the price difference is indeed justifiable. 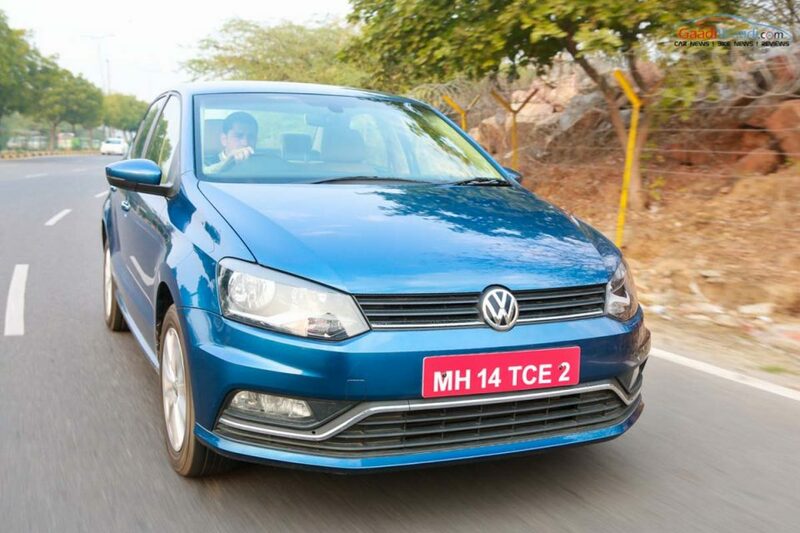 In short, the Volkswagen Ameo is here to stay in the subcompact sedan segment with plenty of positives. The major pros are class-leading power and the refinement of the engine that puts it a notch above its competition. 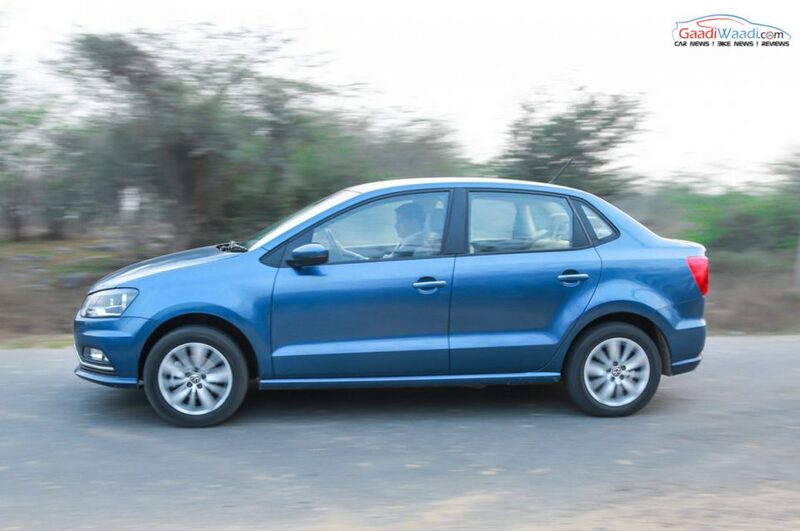 Combined with the braking performance, the Volkswagen Ameo makes for a strong case as a driver oriented machine in its crowded space. Compounded by the packed features list, the Ameo is indeed a VFM package with many first-in-class features we mentioned before. However, there are some niggles we would like to address. 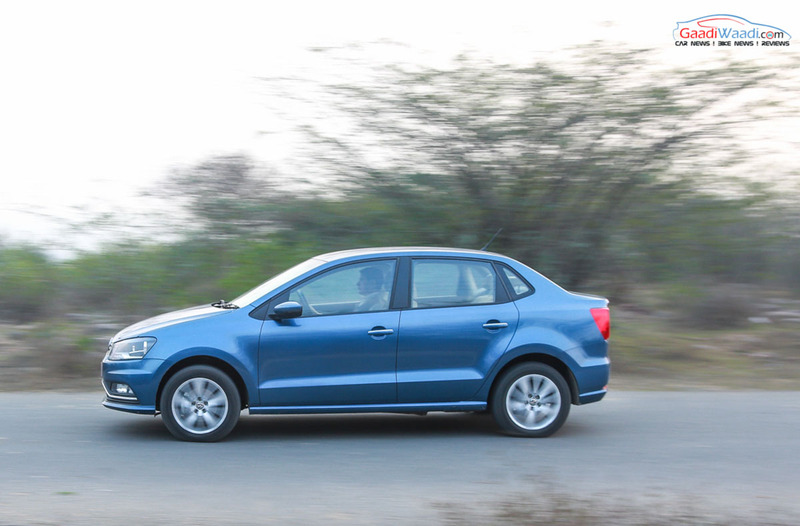 The Ameo has a tidy design going in line with the brand’s styling philosophy in India. But just in its visual appeal alone, it does not satisfy as an out-and-out sedan and moreover we really wished the room on the inside could have been improved. 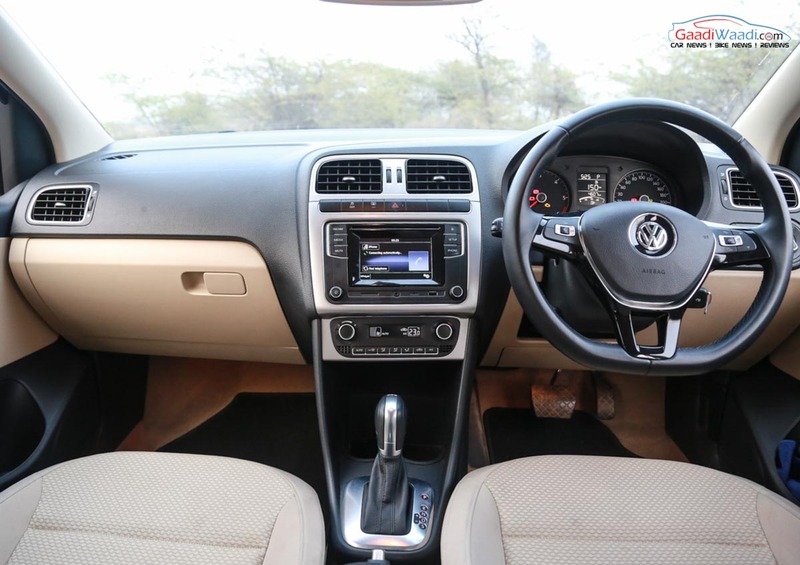 Beyond everything, we are convinced that the seven-speed DSG automatic transmission is the real deal to choose Ameo over rest of its rivals and is the best AT for below Rs. 10 lakh. By being strapped with the TDI diesel, the AT is fuel efficient and punches on the highways with an engaging performance. On the jammed-up traffic too, the automatic ‘box is agile and enjoyable to drive.